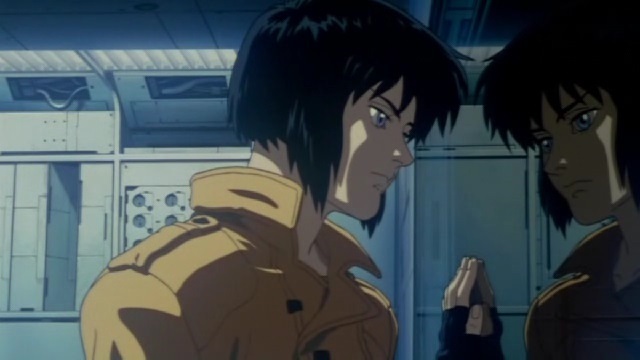 According to a report on Anime UK News Viceland UK, which are currently broadcasting episodes of Durarara and have previously broadcast episodes of Samurai Champloo and Tokyo Ghoul, will be broadcasting the original Ghost in the Shell movie directed by Mamoru Oshi this December. The film will be broadcast in English on the 9th December 2017 at 10pm with the film repeated a week later on the 15th December 2017 and shown at a similar time. Those wishing to ‘dive in’ to the experience can get (at the time of writing) Ghost in the Shell on DVD from as little as £2.99 (or on Blu-Ray for £4.99) as the film is available in the UK via Manga Entertainment. The article on Anime UK News also mentions that Gurren Lagann will begin broadcast on the 8th/9th January 2018 at midnight; with the series itself available on DVD and Blu-Ray via Anime Limited within the UK.